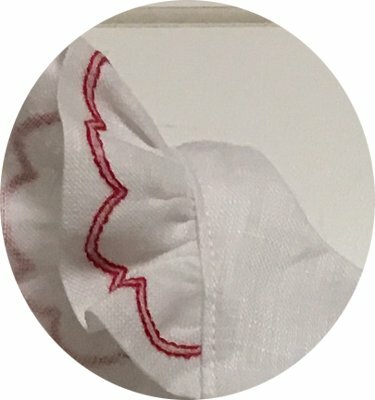 This is a pattern and instructions for stitching a simple heirloom-style pinafore for an 18-inch doll. 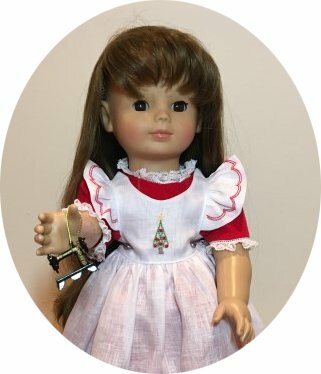 Designs shown on the pinafore are the Christmas Trees for Dolls set. They are stitched on Belfast white handkercheif linen. The dress is the Plain Jane Dress in red cotton baby-wale corduroy. No designs are included with this purchase. 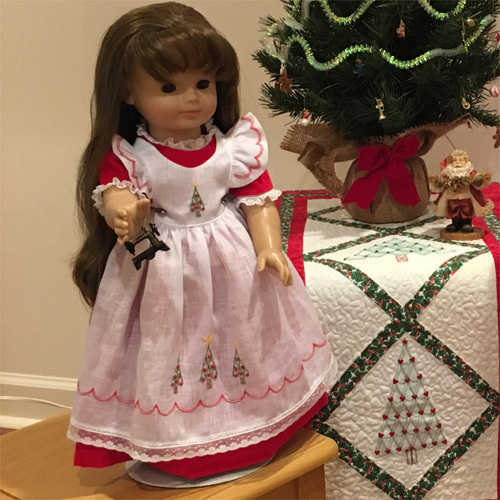 Designs designs sized for a little girl's pinafore are available in the Holiday issue, 2018, of Classic Sewing magazine. See details here.